One-stop care is available for patients suffering from persistent nasal and sinus issues, as well as aspirin sensitivity. 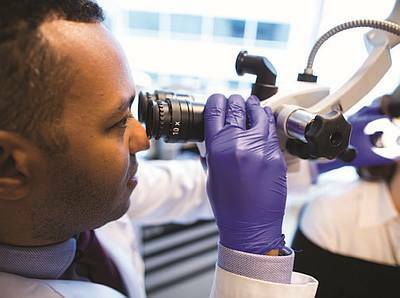 Montefiore’s Comprehensive Allergy and Sinus Clinic, launched in February 2016, is a collaborative effort of the Department of Medicine’s Division of Allergy & Immunology and the Department of Otorhinolaryngology – Head and Neck Surgery. Waleed Abuzeid, MD, Otorhinolaryngology, works in the new Comprehensive Allergy and Sinus Clinic. 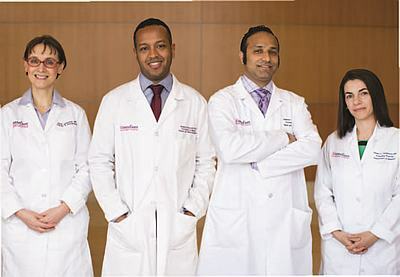 The Clinic is overseen by Nadeem Akbar, MD, Otorhinolaryngology; Denisa Ferastraoaru, MD, Allergy and Immunology; Waleed Abuzeid, MD, Otorhinolaryngology, and Elina Jerschow, MD, MSc, Allergy and Immunology. Twice a month, an allergist and a rhinologist, a subspecialized ear, nose, and throat specialist focused on diseases of the nose and sinuses, team up to evaluate new patients presenting with symptoms of severe sinusitis, a persistent inflammatory condition of one or more sinuses that can last up to 12 weeks. Test results determine a personalized course of treatment, which is developed and implemented by the allergist and ENT specialist. Patients with severe environmental allergies might benefit from allergy immunotherapy (allergy shots), for example, or newer medications such as monoclonal antibodies (an antibody produced by a single clone of cells). The Center is also one of only a few clinics of its kind in the country offering desensitization to aspirin for treatment of aspirin exacerbated respiratory disease (AERD), which is a combination of asthma, nasal polyposis, and nonsteroidal anti-inflammatory drug allergy. The Clinic’s team is actively engaged in research to develop new therapies to treat aspirin sensitivity beyond desensitization. In addition, this clinic offers evaluation and treatment of patients with local allergic rhinitis, a recently described disease in which patients have negative allergy skin testing, but manifest allergies inside their noses. To learn more or schedule an appointment, contact Irene Massallo at 929-263-3165. 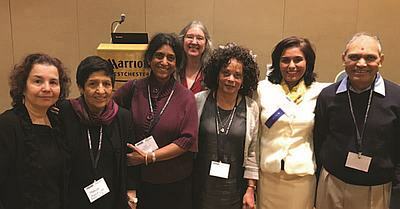 Rubina Heptulla, MD (second from right), welcomes conference attendees on a special day of learning and networking. "THIS EVENT CONTINUES TO ENSURE THAT OUR PHYSICIANS AND FACULTY HAVE ALL THE TOOLS THEY NEED TO CONTINUE PROVIDING THE BEST POSSIBLE PEDIATRIC CARE." Children's Hospital at Montefiore (CHAM) hosted the 6th Annual Hot Topics in Pediatrics Conference on March 30, focused on current issues in pediatric subspecialties and related surgery for practicing pediatrics and allied pediatric healthcare providers. Topics covered included monitoring of developmental concerns in children following Zika and lead exposure, the use of new therapies for acute dermatology conditions, asthma and sports injuries. "This conference is one of our most comprehensive educational opportunities for physicians and students," says conference course director Rubina Heptulla, MD, Chief, Pediatric Endocrinology & Diabetes, CHAM, and Professor, Pediatrics & Medicine, Einstein. "This event ensures that our physicians and faculty have all the tools they need to continue providing the best possible pediatric care." Experts from Montefiore Einstein Center for Cancer Care and White Plains Hospital Center for Cancer Care joined with OncLive on March 23 to present the 2017 State of the Science Summit™ on Advanced Non- Small Cell Lung Cancer. This half-day meeting at the Ritz-Carlton in White Plains offered community-based oncologists and healthcare professionals information on the science driving new thinking in lung cancer management and the associated clinical benefits for patients. Chaired by Balazs Halmos, MD, MS, Chief, Thoracic Medical Oncology, Montefiore; Director, Clinical Genomics Program, Albert Einstein Cancer Center, and Professor, Clinical Medicine, Einstein, the event provided attendees education on novel treatment approaches and strengthened their confidence in applying state-of-the-art treatment strategies. April is Autism Awareness Month, focusing public attention on one of the fastest-growing developmental disorders in the U.S. Affecting one in 68 children, autism notably impairs sociability and empathy, imagination and play, as well as language development and communication. The Montefiore-Einstein Center for Autism and Communication Disorders (CACD) offers leading-edge diagnostic, psychological, and neuropsychological evaluations and innovative intervention services for people ages 5 through adult with autism spectrum disorders (ASD) and other developmental disabilities, and their families. Special programs include: SOS: Social skills in Our Schools and CAAPABLE: Comprehensive Adolescent/Adult Preparation for a Better Life Experience, which includes The Prosody Project. The Prosody Project develops vocal timbre and both verbal (melody, volume, rhythm/fluency of speech) and nonverbal prosody (use of eyes, gesture) in adolescents and adults with ASD. Learn more or support the year-round efforts of the CACD by visiting https://www.montefiore.org/cacd. 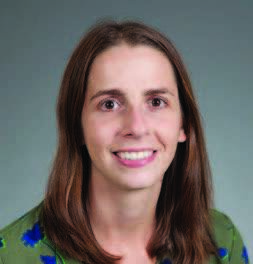 Anne Fuller, MD, Academic General Pediatrics Fellow, CHAM, was recently awarded an Academic Pediatric Association Research Award for Best Abstract by a Fellow based on her abstract entitled, "Prenatal Material Hardships and Infant Temperament at 10 Months Old in Low-Income Hispanic Mother-Infant Dyads." 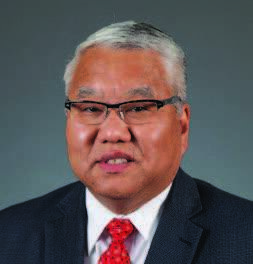 Norman Y. Otsuka, MD, Chief, Pediatric Orthopaedics, received the Physician Appreciation Award for his dedication to increasing community access to healthcare at Achiezer Community Resource Center's Fifth Annual Dinner. Adam Binder, MD, Quality Officer, Medical Oncology, Stuart Packer, MD, Clinical Director, Medical Oncology, Roy Browne, PharmD, Director, Oncology Pharmacy Services, Susan Sakalian, RN, MS, OCN, Clinical Nurse Educator, NW2, and Jose Galeas, MD, Clinical Fellow, Hematology/Oncology, were selected for this year's American Society of Clinical Oncology (ASCO) quality training program. The inter-professional team will further develop their fundamental knowledge of performance improvement science and implementation in order to achieve their goal of decreasing length of stay for elective chemotherapy admissions. 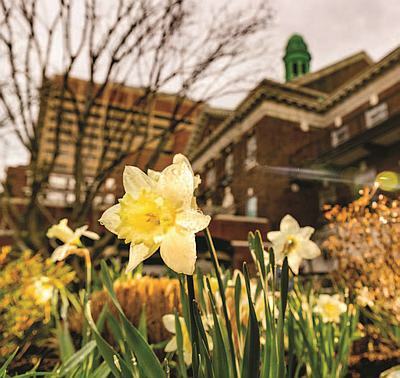 Montefiore’s Moses Campus has a treat for associates, patients and visitors looking for proof that spring has finally sprung. Daffodils and tulips are in full bloom in the East and West Gardens, as well as the Centennial Knoll. These bulbs are a new addition to the gardens, thanks to Montefiore’s Department of Engineering. Stop by when you have a chance and enjoy this visual delight! 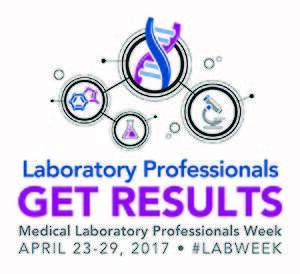 We'll salute our "heroes behind the scenes" as the Montefiore-Einstein community marks Medical Laboratory Professionals Week, April 23 – 29, in the Montefiore-Einstein Pathology Department. This year's theme celebrates the All-Stars Laboratory Team: Teaming Up for Patient Care. "We're proud to take this opportunity to thank our dedicated medical laboratory staff," said Michael Prystowsky, MD, PhD, Chair, Pathology Department, Montefiore and Einstein. "They are essential members of the healthcare team, working to save lives and ensure the best possible care for our patients." Department members will be feted throughout the week with a series of lectures and other special events. Do You Experience Urinary Leakage When You Laugh, Sneeze, Cough or Exercise? If you are a WOMAN over the age of 18 with Bladder Leakage, you may be eligible to take part in a female stress urinary incontinence clinical research study. Volunteers will be compensated for time and travel. To learn more, contact Nitya Abraham, MD, and the study team at 347-842-1715 or johor@montefiore.org. This two mile walk is co-sponsored by the Mosholu Montefiore Community Center, J Train Wellness and Children’s Hospital at Montefiore. 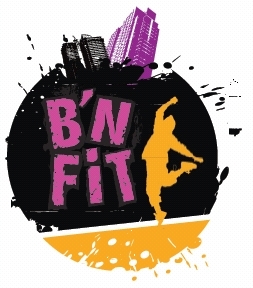 Registration ends May 3. $10.00 Race Fee + $2.00 Sign-up Fee. UND: BMX in the BX aims to shatter the outlaw stereotype placed upon BMX culture and its riders through a celebration of misunderstood and underrepresented positivity. Photographer Elias Williams’ work depicts riders in the city’s oldest park and bikepark within, Mullaly Bikepark. Melanoma is the deadliest skin cancer. In the U.S. alone, each hour, it claims one life. Early detection can save your life. Stop by for a FREE total body skin exam. Call 914-721-2940 for more information.